BUSHWICK, Brooklyn (WABC) -- A man armed with a machete and swords in both hands, was menacing people in a Brooklyn park, police said. According to the New York City Police Department, the 56-year-old was harassing people inside Maria Hernandez Park in Bushwick at about 8 p.m. Monday night. Police moved about 50 people out of the park. When the man fled, officers chased him. Once surrounded, the man pulled out two swords and told police, "You're gonna have to kill me." A sergeant fired a stun gun, hitting the suspect in the back, subduing him. 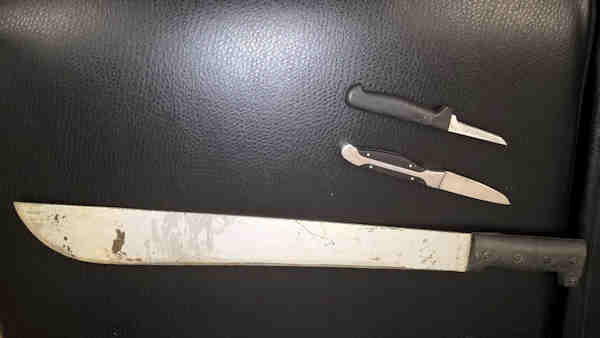 A machete and two smaller knives also were recovered in his duffel bag.